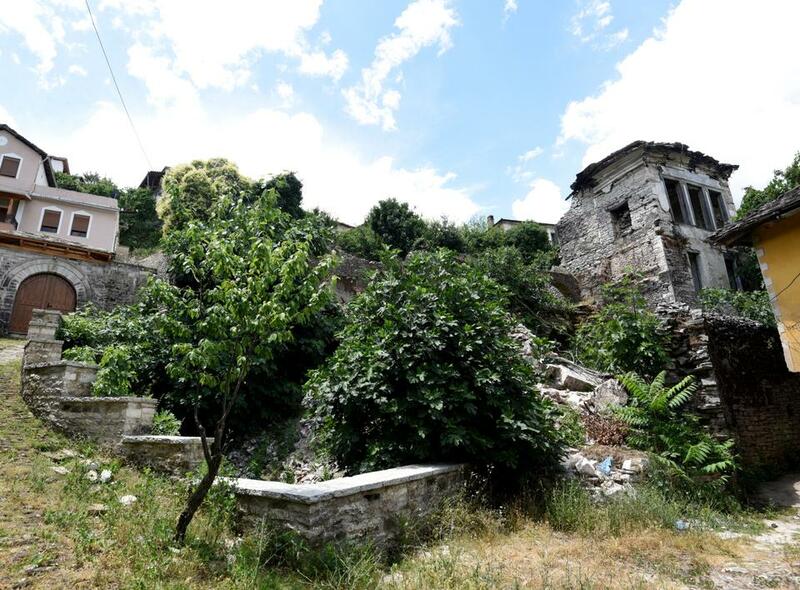 Many of the centuries-old, fortified buildings, which won the southern Albanian town of Gjirokastra a place on the prestigious UNESCO World Heritage List in 2005 are at risk of disappearing. The Lolomani dwelling, formerly the home of the Ottoman period family of that name, was once an impressive sight in the mountainside town of Gjirokastra in southern Albania. Now the house lies in ruins, like dozens of others in the “City of Stone,” defined by its castle, steep cobblestone roads and silvery-coloured limestone structures with views of the Drino Valley near the border with Greece. Many of the centuries-old, fortified buildings, which won the town a place on the prestigious UNESCO World Heritage List in 2005, are a tourist attraction but are at risk of disappearing. Some are deserted or have not been maintained for years, others underwent changes that have destroyed their historic value, or have too many owners to agree on the necessary work or they are simply too poor to afford the repairs. Authorities in the Balkan nation don’t have the means to restore them either. “I feel pain for every stone, every wall that is getting damaged,” sighs Email Nacaj, a 58-year-old house painter, who remembers the collapse of the Lolomani house in winter 2016. Below, the roof of his own house has half fallen in. “I’m scared here, but my mother does not want to leave,” he says. 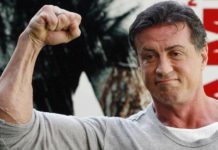 Even if he had the money, he couldn’t do anything – his cousin, who lives in the capital, Tirana, and is a co-owner, refuses. Out of 615 monuments in the town’s historic centre “more than half are subjected to illegal or out-of-context constructions, while 169 are in critical condition or at risk of collapse,” warned Europa Nostra, a pan-European federation of heritage NGOs, early this year. Most of the buildings date from the 17th and 18th centuries, although the town’s origins go back further and its walls were built in the 3rd century. Massive emigration has compounded the buildings’ fate, as Gjirokastra has not been immune to the trend plaguing Albania. The town’s population has dropped from 34,000 in 2011 to less than 25,000, according to Engjell Seriani, head of tourism at the town hall. Its houses are named after their original owners, dignitaries of the Ottoman Empire such as Lolomani, Karaulli, Fico, Zeko, Babameto, whose power was measured by the number of chimneys on their homes. Today, Sokol Karaulli, a descendant of one of those noble families, says his way of life is a far cry from the ostentation of his home’s substantial five chimneys. A former soldier but not yet eligible for his pension, he says they only survive thanks to the salary of his pastry chef wife. “The day when we will say ‘Once upon a time there was Gjirokastra’ can happen,” the 60-year-old warned. Karaulli cut off the electricity on the first floor and placed plastic washing-up bowls to collect the leaking water that had already rotted the wooden frame of his crumbling house. Around the town’s bazaar, the clean facades are down to a three-million-euro ($3.5-million) restoration footed by an Albanian-US association and the World Bank. Small stalls tout souvenirs to tourists, 77,000 of whom visited the citadel last year. Their numbers grow 10 to 15 percent annually. “However Gjirokastra is not only the bazaar and those emblematic places,” said architect Lejla Hadzic, of the NGO Cultural Heritage without Borders (CHwB). Elsewhere, “the situation … is getting worse day by day,” she said. 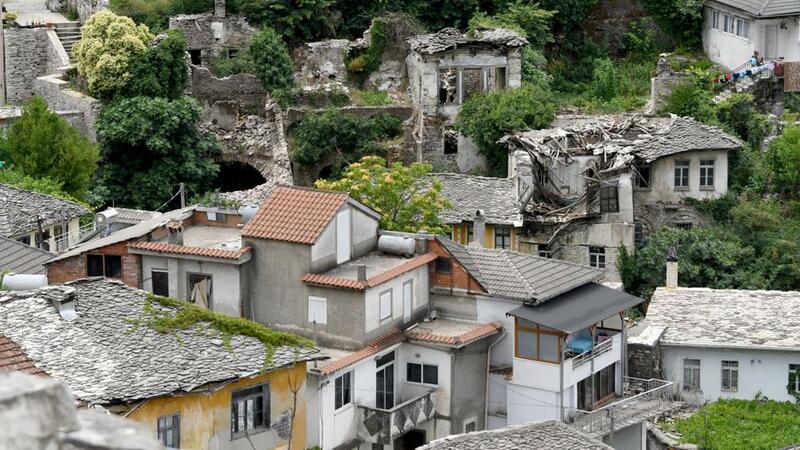 In 2014, the NGO had warned of the “rapid destruction” of the historic districts of the town, where Albania’s former communist dictator Enver Hoxha grew up. Of the 650 buildings it took into account, CHwB said 40 were in a very poor condition, 34 were in ruins, while 15 were on the verge of collapse. Now, the number in ruins has gone up to 47, it says. Today about 80 houses are uninhabited, raising the possibility that a leaky roof will affect the wooden structure. “Every day, I see something that is wrong, as if the building is whispering to me to do something,” said deputy mayor Vangjel Muco. But with a total overall budget of 2.5-3 million euros, his municipality cannot tackle the issue properly. Albanian Culture Minister Mirela Kumbaro insists the town “is no longer in danger” and that the government has taken the problem in hand. 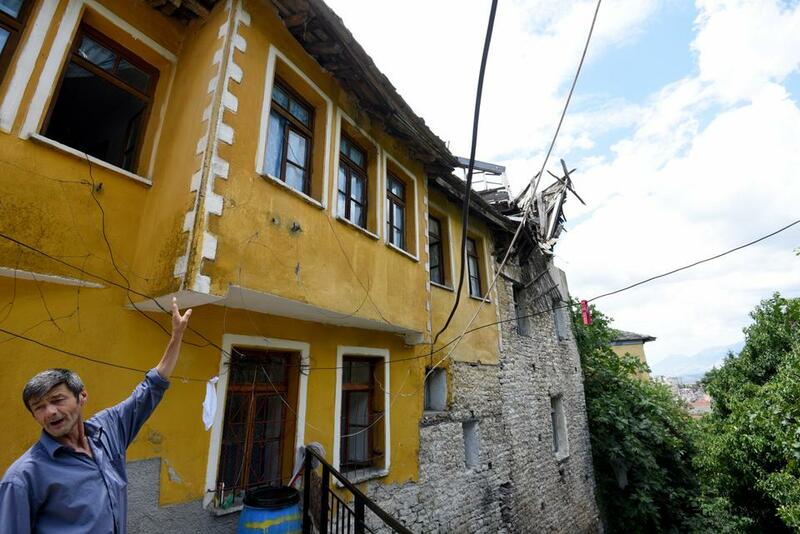 Since 2013 structural changes to Gjirokastra houses have been banned. 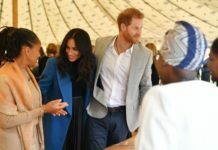 She also has high hopes for a newly passed law on cultural foundations, as well as for tourism after the conversion of about 20 houses into hotels. But the CHwB believes that Gjirokastra can hope for “no more than 10,000 euros” from the national budget. And renovating the Babameto house alone cost 160,000 euros which came from Sweden. Just to reinforce all the ruins would take another 1.2 million euros, according to Hadzic. “All the actors dealing with cultural heritage should really take it seriously and intervene as fast as possible because there’s only one Gjirokastra in the world,” she warned.